These basketball rebounding drills are from an old University of Washington women’s Newsletter. Coach Mike Neighbors has moved on to Arkansas. He will begin sending out his weekly newsletter from Arkansas in August 2017. He has been doing it since he was a high school coach and has continued it on through every one of his stops as a college assistant and now in his D1 Head Coaching Positions. It is possibly the oldest basketball coaching newsletter around and definitely one of the absolute best. If you are interested in joining the list, send me an email and I will forward your request. 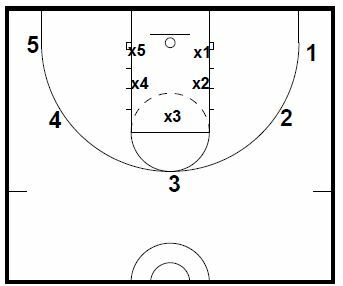 5-on-5 competitive drill where points are totalled at the end of 8 minutes. 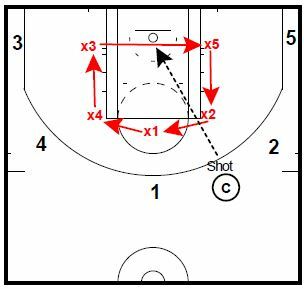 Offense is around the perimeter behind the 3 point line. Defense must start in the key. Offense will get 1 point for the rebound. They can also play the rebound and score for more points. After offense gets the ball, the play is over when offense scores or defense recovers. Defense must rebound and transition down the court. Whatever they score at the other end is their points. 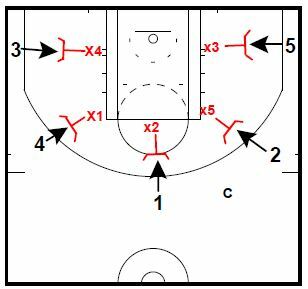 If the offense recovers the ball, they do not get to transition back. Point guard always gets back on defense in this drill. The defender of the point should go to double team whoever is the biggest threat. I think this is a good way to work on looking for someone to block out either out of a zone or from a man to man defense that traps and rotates. We will get your contact info forwarded to Coach Neighbors. Thanks! Found your Web site a month ago…wish I had 2 years ago! Third year coaching my daughter’s aau team and she is now a 6th grader. Thank you for all this info in one place. Please add me to coach Neighbors news letter and any other women’s coaches info is greatly appreciated. Please add me to the list !!!!! Love this website!!! Please add me to Coach Neighbors distribution list. Please add me to the list. Very much appreciated. Great site with a lot of valuable information. Please add me to Coach Neighbors email list. Please add me to Coach Neighbors’ list. Thanks. Good drills. Please add me to his list, thanks!